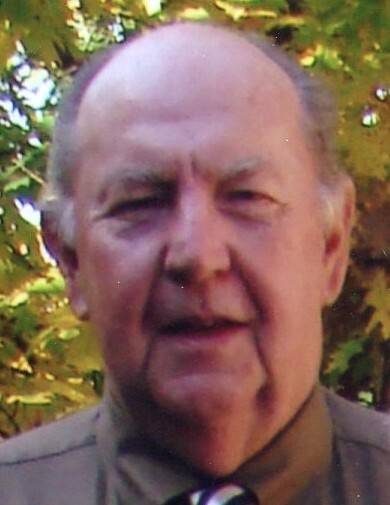 “Lee” Leland Barwick, age 77 years, of Campbellsport was called home to be with the Lord on October 23, 2018. Lee was born on October 3, 1941 in Milwaukee to Leon and Frances Barwick (Bertram). Lee graduated from Port Washington High School in 1959. He loved tennis, Western movies, Lionel Trains, and more dogs than people. Lee was a Chemical Plant Manager, Saukville, WI and Marshall, TX. He retired after 39 years. Those Lee leaves behind to cherish his memory include his wife, Judy of 56 years; two sons, Paul (Anna) Barwick and Patrick (Vicki) Barwick; five grandchildren, Kara, Rachel, Connor, Maya and Bethany; two great-grandchildren, Clare and Emma. He is further survived by three sisters, Mary Emory, Carol Mueller and Annette (Kenneth) Bienlein, nieces, nephews, other relatives and friends. In addition to his parents, Lee was preceded death in by two brothers-in-law, Howard Emory and Robert Mueller. Memorial Service for Lee will be held at 5 pm on Sunday, October 28, 2018 at Myrhum Patten Miller Kietzer Funeral Home (1315 W Washington St. – West Bend, WI 53095) with Father Nathan Reesman officiating. Lee’s family will greet relatives and friends at the funeral home on Sunday from 3 pm until the time of service. Memorials to Former Texas Rangers Foundation (PO Box 3195 / 103 Industrial Loop, Suite 700, Fredericksburg, TX 76624) or Washington Co. Humane Society (3650 State Road 60, Slinger, WI 53086). The Myrhum Patten Miller & Kietzer Funeral Home of West Bend has been entrusted with Lee’s arrangements. Additional information and guest book may be found at www.myrhum-patten.com.